Journalist Melina Knight longs to know why her grandmother, Mariam, so rarely speaks about her family and childhood. 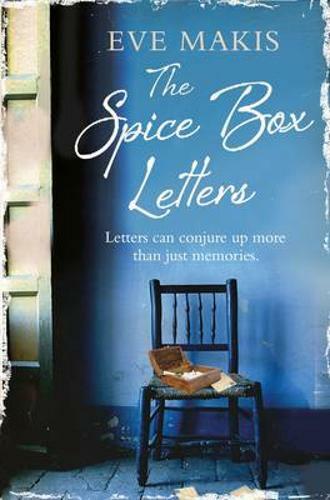 When Mariam dies suddenly, she inherits her grandmother's journal and handwritten letters stashed in a wooden spice box, cryptic treasures written in Armenian, Mariam's mother tongue. On a spring break in Cyprus, Melina meets Ara, a young Armenian man, who agrees to act as translator. In 1915, aged seven, Mariam was expelled from her home in Eastern Turkey and separated from her family, her life scarred by tragedy, exile and the loss of her first love. As a child, she witnessed the murder of her beloved brother, Gabriel, or so she believed. In fact, Gabriel is alive and living in the heart of a bustling Armenian community not far away. An uncompromising character, he is a stickler for tradition determined to stop his granddaughter from marrying outside the culture. A fact-finding trip across the island brings Melina face to face with the great uncle she thought was dead, but another miracle is on the horizon. Melina unearths a family secret that changes her life and lays the ghosts of her grandmother's turbulent past to rest.